Are you ready to beat the heat and have the pool party at your house this year? 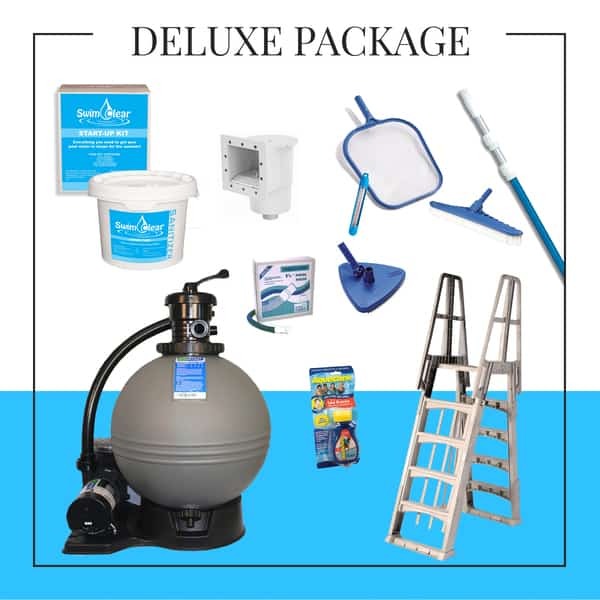 Well the Mirage would be a great choice and right now it comes with everything you need to get your new pool up and running so you can swim right away. 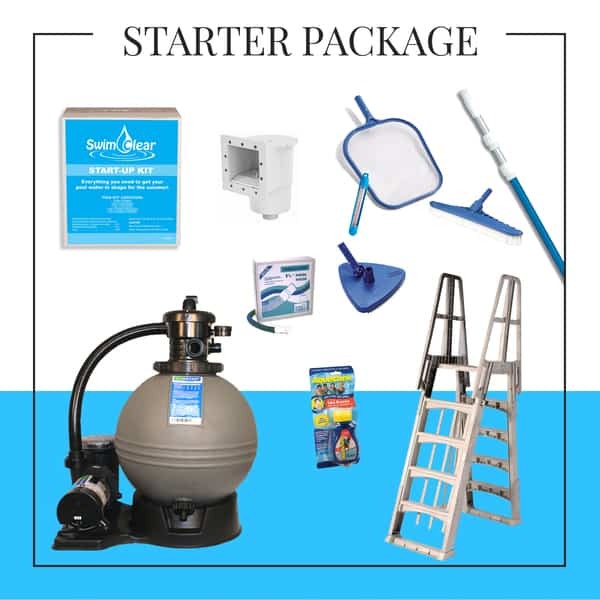 The pool package includes the pump, filter, liner, ladder, vacuum equipment and starter chemicals, as well as numerous other items listed below. 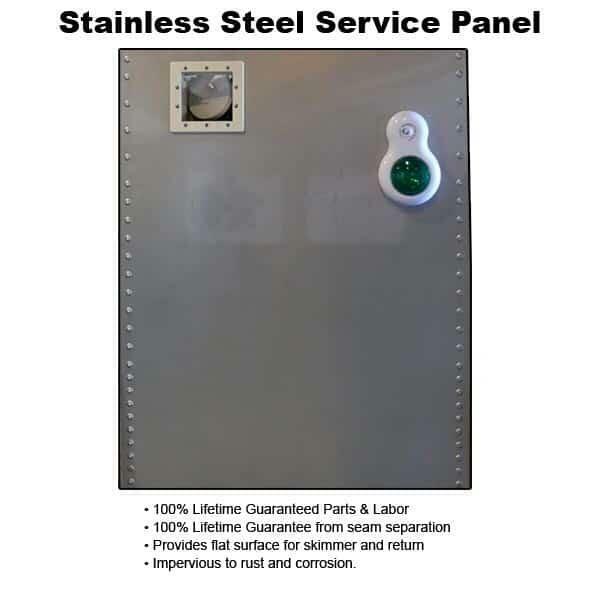 If quality is important to you, the Mirage features rigid molded resin uprights and top seats, and a stainless steel service panel, all carrying a lifetime guarantee. 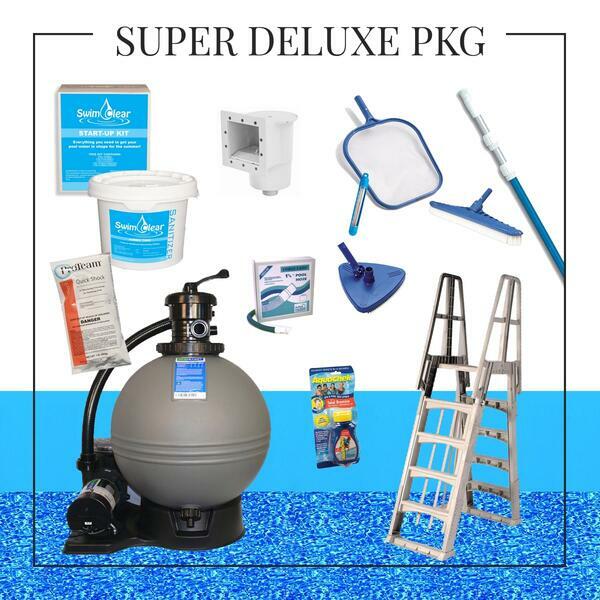 Family Leisure specializes in this business and we are here seven days a week to answer any questions you may have in your quest for the perfect swimming area for your backyard. Impervious to rust and corrosion.